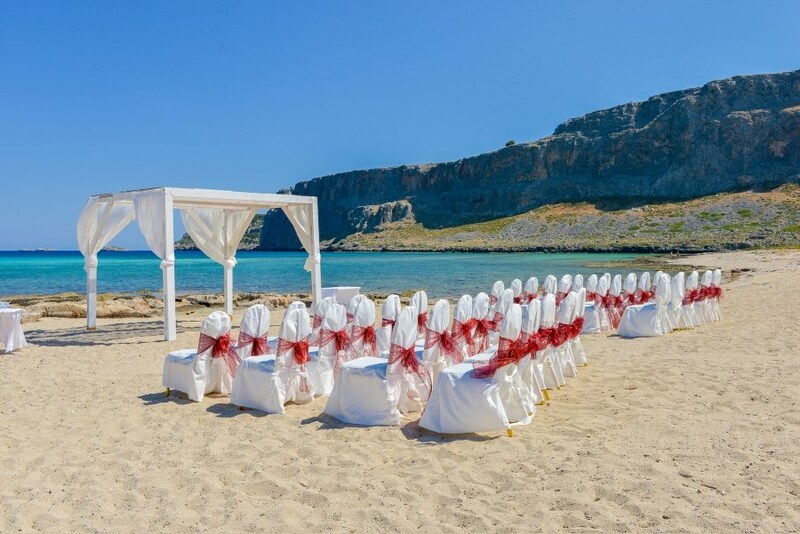 Lindos wedding venue Lindos Memories is situated on Psaltos Beach, a beautiful ceremony venue in Lindos which boasts amazing views for your unforgettable Lindos wedding. A popular 5 star hotel in Lindos (part of the Mitsis hotel chain) built in classic style with impressive uninterrupted views of the Aegean Sea. 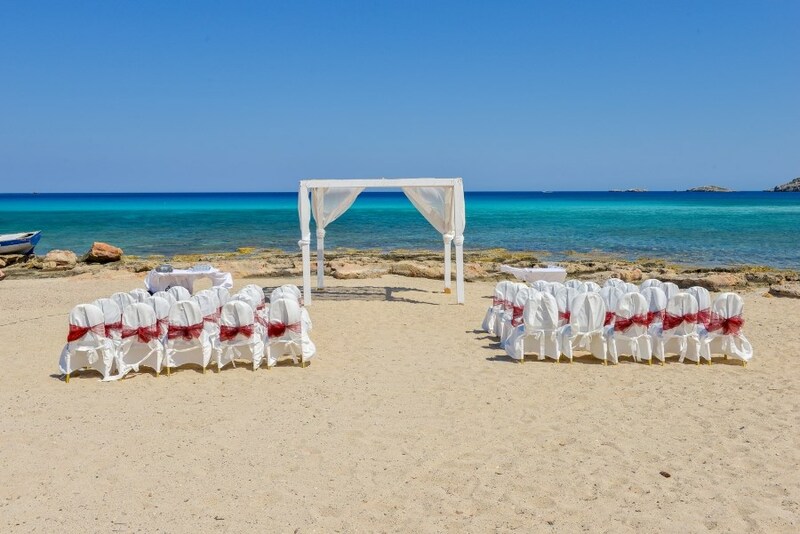 The beach location may be used for ceremony only or ceremony and reception. Discover this perfect romantic retreat where Anthony Quinn and Irene Pappa shared their love and enjoyed the intoxicating beauty of the landscape while filming The Guns of Navarone. 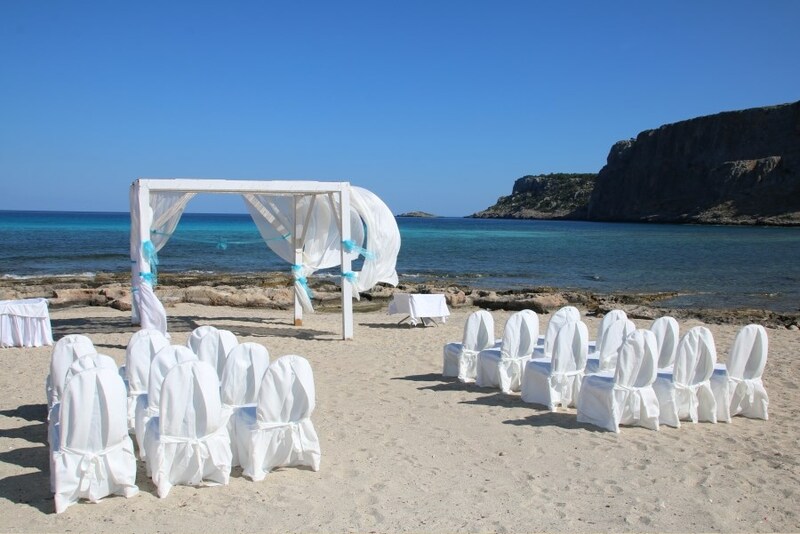 We can arrange your wedding ceremony on the beach where you can capture the atmosphere of the history, or in the hotel grounds. After your ceremony enjoy the mouth-watering menu of the beachfront Linda Tavern. Additional fees apply for this venue for the set up of the beach location.